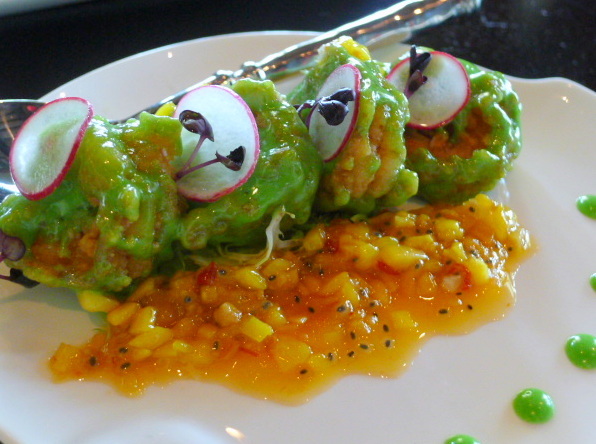 Zheng He’s is a modern Chinese restaurant located in the Mina A’ Salam Hotel on Jumeirah Beach. The restaurant is gorgeous with its décor of dark woods and glowing red lanterns, and combines authentic traditional Oriental touches with a Western modernity. The restaurant opens out onto a terrace with outside tables that offers unsurpassed views of the Arabian Gulf and Burj al-Arab. 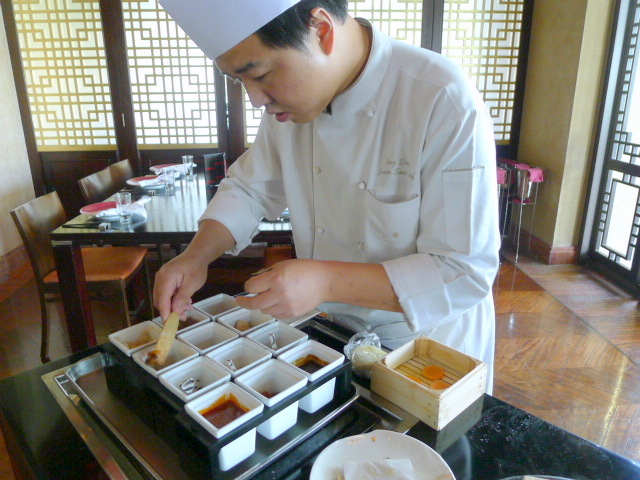 A team of Chinese chefs oversees a menu that offers a wide variety of starters and mains, as well as a choice of live seafood cooked to order. 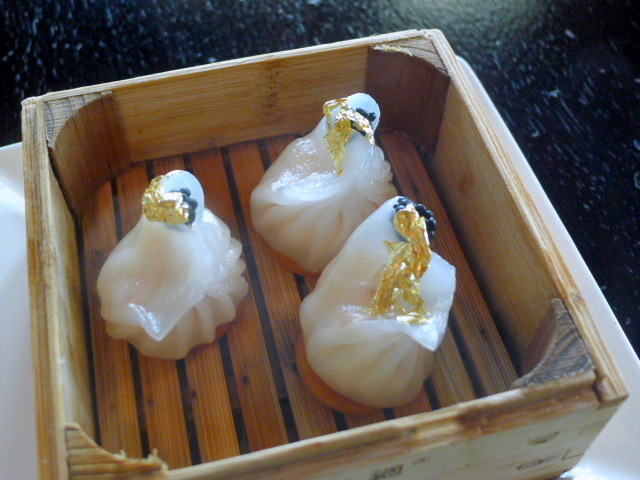 There is also a dim sum section, and of interest were the two items in the dim sum ‘gold collection’ which were prepared and steamed in front of your eyes. 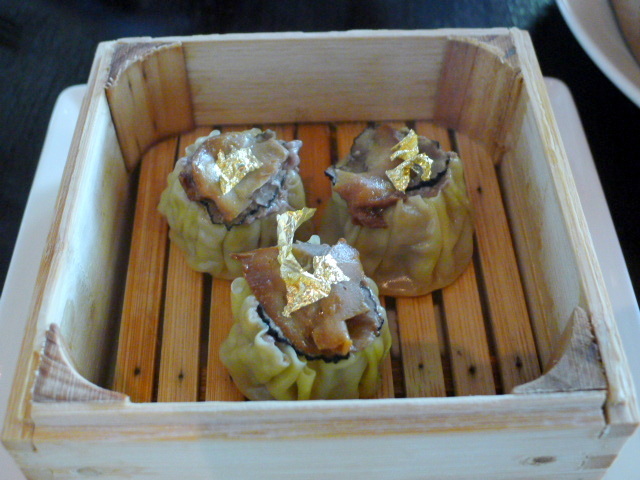 These included the wagyu beef, truffle, foie gras and abalone siew mai (3 pieces, AED88 – about £15) and lobster, scallop and prawn har kaw finished with beluga caviar and gilded with golf leaf (3 pieces, AED88 – £15). Both were delicious and succulently juicy. There was great theatre in having the dim sum made in front of your eyes (the standard options are prepared in the kitchen). Moreover, having the dim sum cooked à la minute gave it a freshness and moistness that is usually lacking from a usual dim sum service. 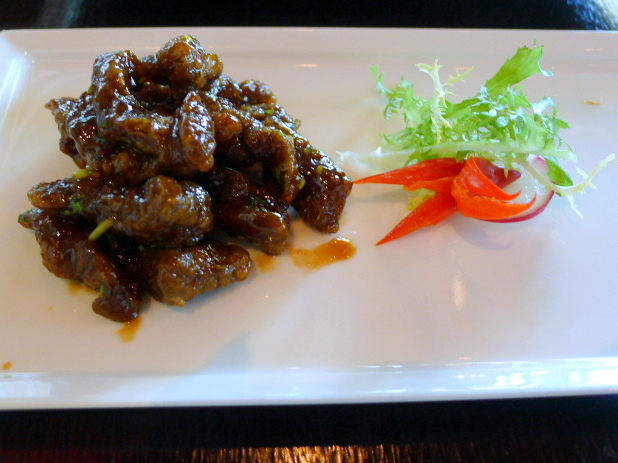 Some deep-fried starters included the wasabi prawns (AED80 – about £13.60) and beef with a Cantonese sweet vinegar glaze (AED65 – about £11). The prawns were meaty and tasty, and there was a fantastic crunchiness to the batter. The wasabi sauce had a good kick to it and the accompaniment of a sweet mango salsa worked well to balance out the wasabi. The sweet vinegar glaze on the beef was excellent, and the combination of crispy beef with a sweet, slightly acidic sauce was moreish. 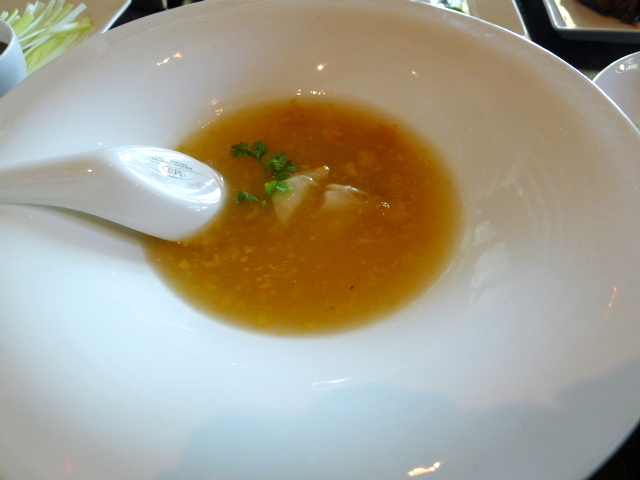 Soups of sweet corn bisque with crabmeat (AED65 – about £11) and hot and sour soup with assorted seafood and silken bean curd (AED60 – about £10) were truly satisfying. The flavour of the bisque was clear and sweet, and the inclusion of some lovely, fresh crabmeat did much to elevate it. This soup can sometimes taste a little starchy from the use of too much corn flour but this was not the case here. 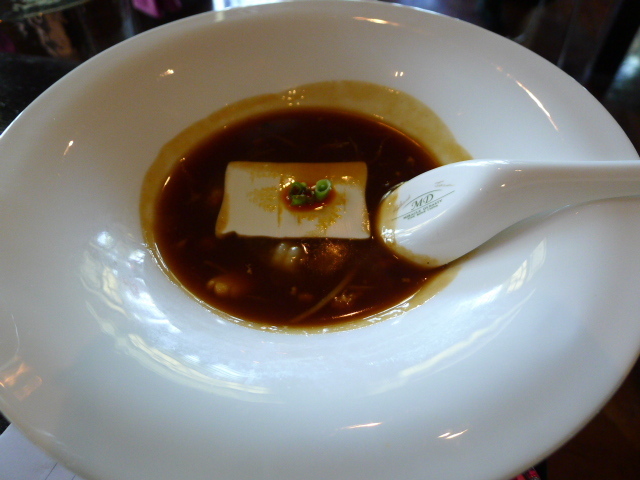 The hot and sour soup was also fab with the sweetness and sourness doing a merry dance on the palate. 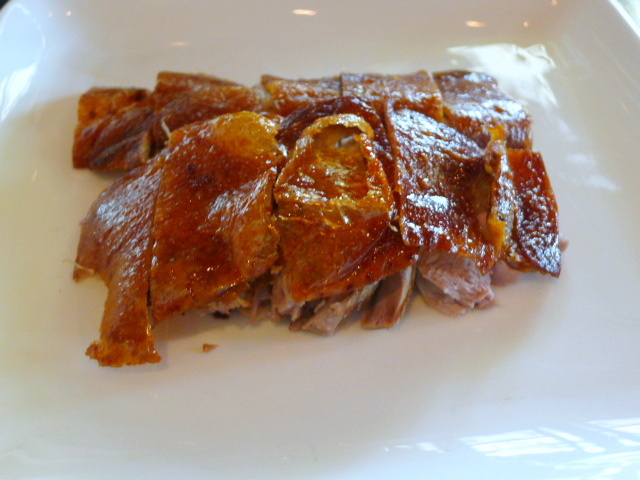 The popular classical dish of (half) Beijing style roasted duck (AED200 – about £34) with homemade Chinese pancakes and condiments was decent. The taste of the duck was good, although the skin wasn’t particularly crispy. 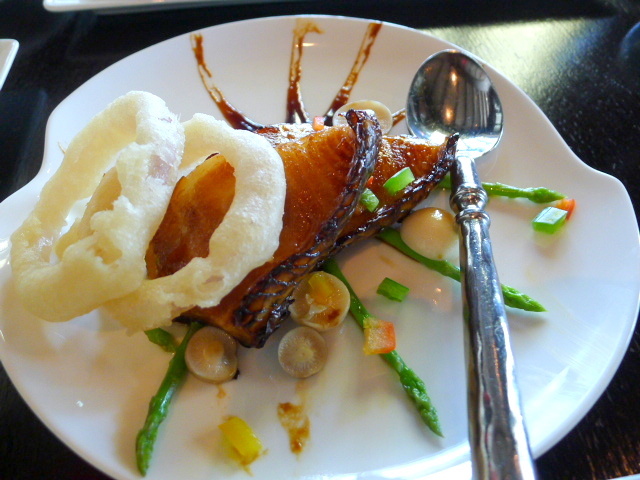 More appealing was the oven baked honey cod with assorted mushrooms and a BBQ soy sauce (AED130 – about £22). The moist fish flaked easily and the sweetness of the excellent sauce fit the cod like a glove. 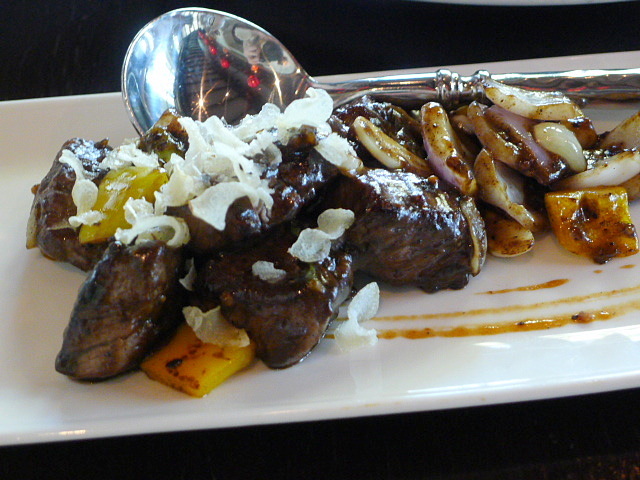 But the highlight of the day was the sautéed beef tenderloin with a black pepper sauce (AED160 – about £27), a signature dish of the restaurant. The beef was exquisitely tender and flavoursome, and the sauce teased the senses with its subtle kick of pepper. 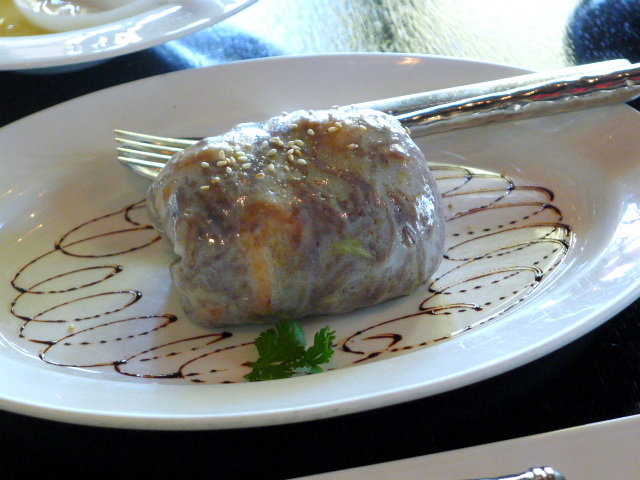 This dish showed great finesse and is a must of any visit to Zheng He’s. Also incredibly satisfying was the wok-fried somen noodles with shredded vegetables and fresh shrimps (AED60 – about £10). The noodles were perky and refined, and they had been skilfully stir-fried with the vegetables and the tasty shrimp. Moreover the noodles had been wrapped in a thin egg-white omelette for a more interesting presentation. 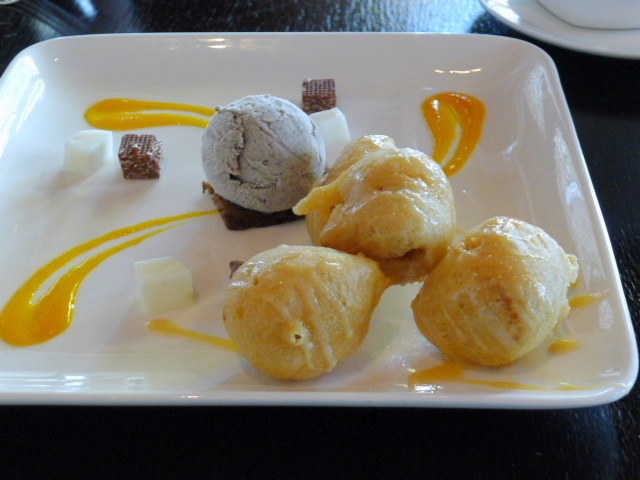 A dessert of deep-fried banana fritters (AED50 – about £8.50) was the best dessert of the day. The effect of the super crunchy batter with a soft and gooey caramelised banana centre was wonderful. It was coupled with a black sesame ice cream that was first-rate. The hot chocolate waffle cake with passion fruit (AED50 – about £8.50) was less appealing as its texture was quite doughy, thereby drowning out the taste of the chocolate. 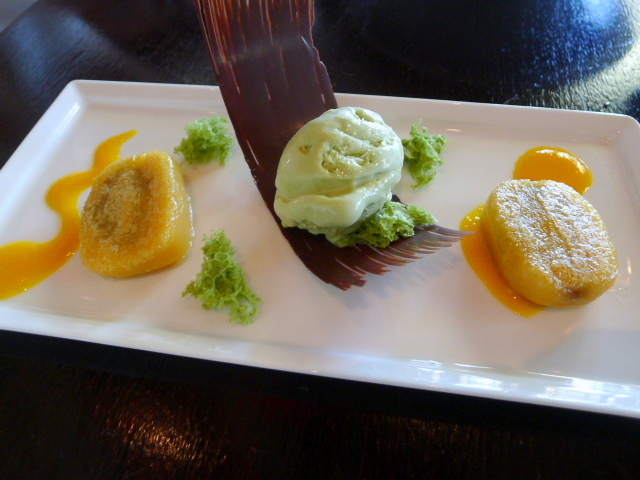 But the accompanying green tea ice cream was dreamily good and would have made an outstanding dessert all on its own. Rounding of our dessert tasting was a chilled mango pudding (AED50 – about £8.50), which was well made with an inviting mango flavour. 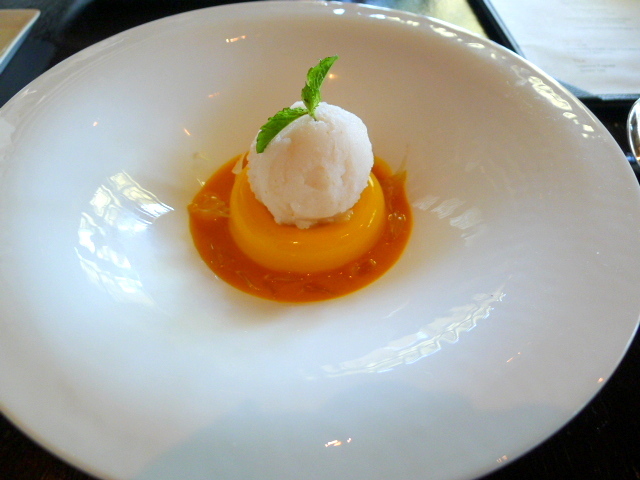 The use of pomelo was also a welcoming touch, and a lychee sorbet was refreshing and zingy. It was hard to find fault in any of the delicious food. All the ingredients were stellar, and there was a wonderful authenticity coming through in the flavours. The diversity and variety means Zheng He’s makes for a great sharing experience. The service was excellent although the food service was quite fast. In fact it felt a bit rushed, so it wouldn’t be a bad idea to suggest to the restaurant to slow down the pace of the food delivery. Prices: It’s a sharing menu, but assuming one starter or dim sum, one main and one dessert per person – about AED185 to AED410 (about £32 to £70). Includes taxes and service but excludes drinks.